You probably remember the moment when you’ve lost your car keys. You’ve searched the key everywhere, but couldn’t find it. At the beginning, after noticing that your car key is nowhere to be found, you get panic. Maybe you’re also frustrated, but hey, it’s not the end of the world. Finally, you ends up calling a mobile locksmith to make a new key to your car. This is a great decision. An automotive locksmith can arrives pretty fast, and made a new car key, on the spot wherever you’re located in his service area. 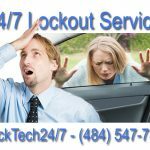 In the final analysis, you get your lost car key problem solved with an ease, when you call LockTech24/7. More important is your car insurance will reimbursed your money, if you have a roadside assistance on your car insurance policy. What about your insurance policy, do you have roadside assistance? Your insurance company can share the cost with you, when you lock yourself out of your car, or lost your car key. A roadside assistance includes automotive lockouts, lost car key replacement, and as well gas supply or tire replacement. When you get fast auto locksmith service, this could be a pleasant scenario of a lost car key replacement service! Can You Make A Car Key By Yourself? Maybe if your car don’t need a transponder key that need to be programmed to your car! This is a story I would like to talk about. A car key replacement service, that took a different direction. Last summer, I’ve got a call from a customer from New York who visited Dorney Park, Allentown PA. He lost his car key on a ride of a roller-coaster. When I arrived on scene, I checked the door lock and the ignition lock. The door lock look was damaged. My customer announced that the lock is broken. When I asked him if he changed the ignition lock of his car, anytime in the past, he answered: “Never, it is the original ignition of the car.” Ok, I replied, I can order the key code of your car, in order to find out the key cuts. At 11:00PM, I’ve got another call from my customer, asking me if I can do the key for his car. I checked with the auto codes service, and found out that Chrysler system is back to service. Yes, I can get the key code, and make this car key quickly. I happily thought, It’s not too late, it’s still a decent time for a good night sleep time. I arrived to Dorney Park, once again. My customer met me in the parking lot. I skipped the verification process because we did it earlier, and ordered the codes for his car by the VIN number. 10 minutes later, I had a new cut car key, ready for programming. I’ve grabbed the programming machine, the pin code was already written on a paper and I jumped inside my customer’s car. It was night and dark outside when I’ve tried to insert the new car key inside the ignition lock, but the key doesn’t go in the ignition. Well, I thought, something isn’t right here. This is the right key for this car, but I can’t insert the key inside the ignition. I’ve touched the surface of the ignition with my fingers and felt it’s kinda bent or something. I went to my van, grabbed my headlight and back to check the ignition. When I’ve pointed the light on the ignition, the picture was clear. My wise customer tried to knock of the ignition with hammer and a screwdriver. 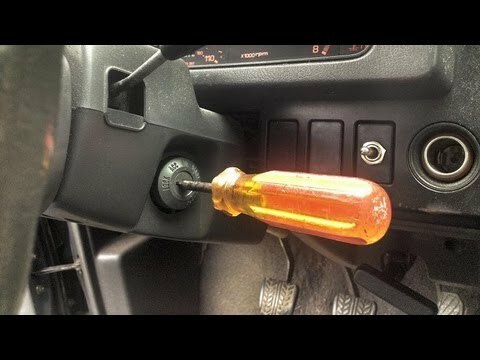 This guy thought he can start the car with a screwdriver after breaking the ignition. My jaws dropped, I was in shock, he didn’t do what I think. I asked him; “Have you knocked out the ignition?” He replied; “Yes”. I added; “When I came here earlier, I explained you that your key has a computer chip.” My Customer smiled, embarrassed. I ended up working two hours replacing the ignition lock of his car, cutting and programming a new transponder key to his vehicle. 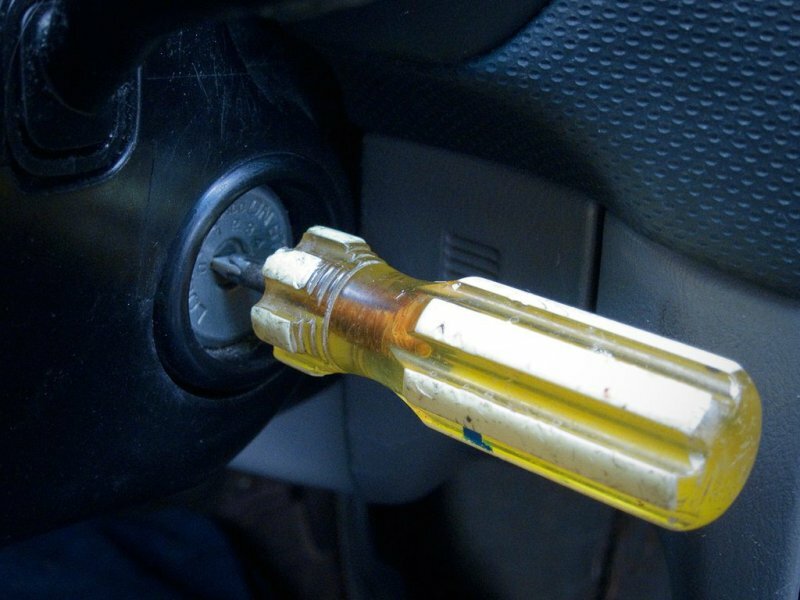 As for today, most cars involve a transponder key combined with anti-theft system. In this case, you can’t start your car with a screwdriver. Some people lose their patience when they’re losing their car keys. You maybe try to save time going back home and deal with it later. But, breaking your ignition, most likely lead to a bigger problem. 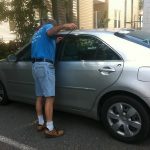 The best thing to do is to call a local and mobile locksmith. You don’t need to tow your car to a dealer, not to mention you can call immediate service, when you call a mobile locksmith.